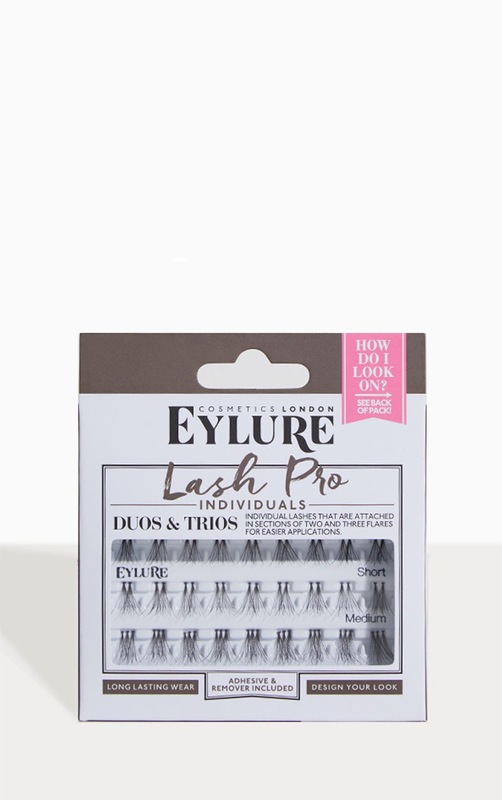 Duos & Trios are individual lashes that are attached in sections of two and three flares for easier applications. 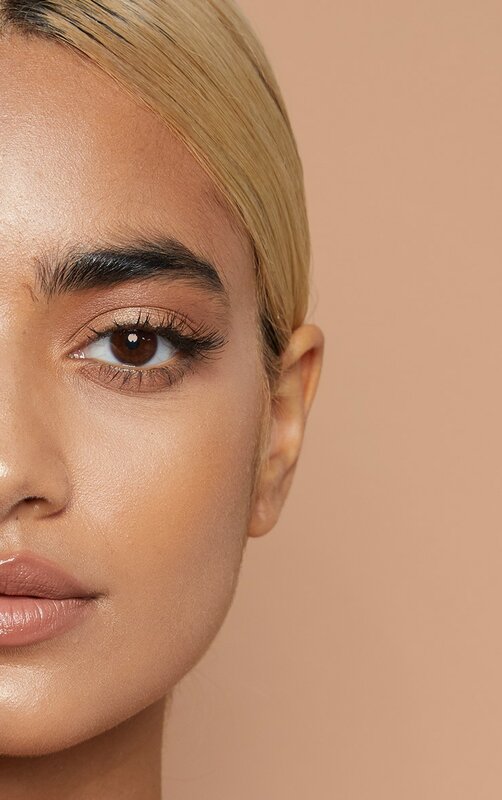 A few flares at the corners or a full spread over the lashes, each gives an enviable effect. 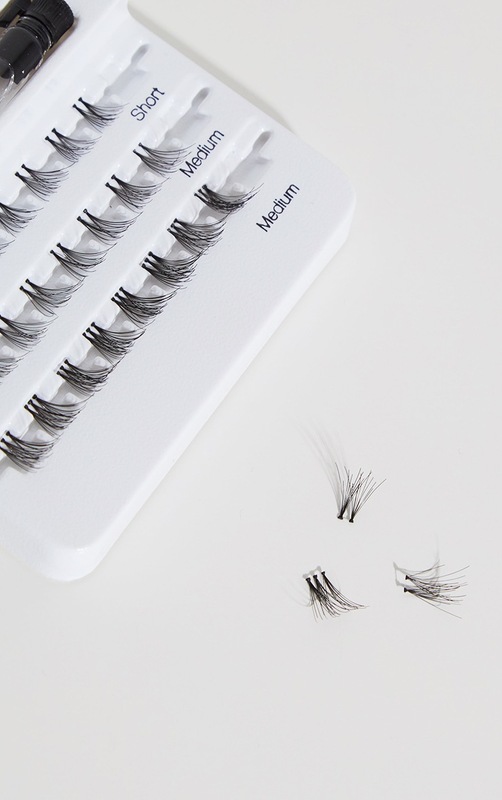 This kit contains glue, the lashes can easily be removed with remover.